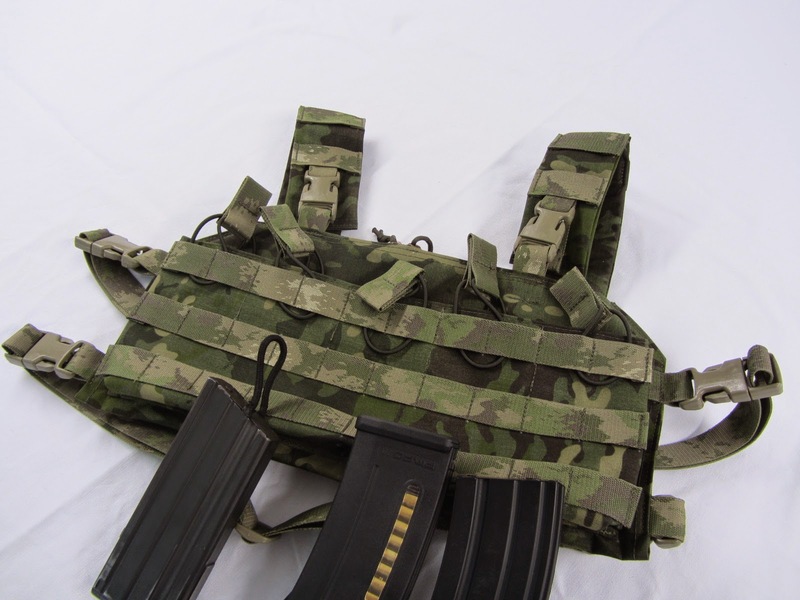 Tiger Tailor has released these shots of their Gen 4 Chest Rig in MultiCam Tropic. 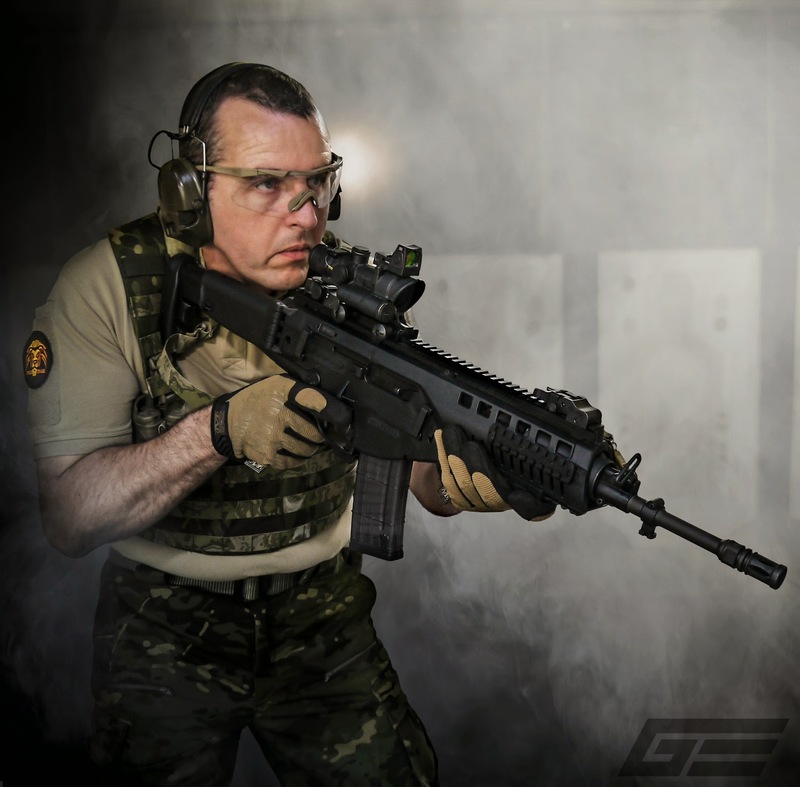 The Chest Rig was been developed in 2010 for use with the French Army and has seen use on 5 continents and in most theaters where the French are engaged, i.e. Afghanistan, Mali, Central African Republic, Guyana, Pacific Isles, Djibouti and others. The final design is based on end user feedback. The Chestright rigs integrate with armor (SwiftClip compatible), you can tie them into Mayflower carriers, on CIRAS carriers (and its variants used by the French), or on our Tiger Tailor's own Platecat plate carrier. The logic being, muscle memory will remain the same whether without armor (training or civilian engagement situations) or with it. Vehicle drivers also like to unplug the rig when sitting behind the wheel in armor. The odd number of mags carried was chosen for anatomic reasons (smaller user population) and because most PC’s carry 3 mags in the front, thus the rig wraps well around plates. The Chestright have an internal pocket (full platform area) that is zipper closed for silent operation with an organizer inside. There is a map pocket on the back external face. The harness is padded. The PALS webbing is designed to take either 1 column or 2 column pouches. 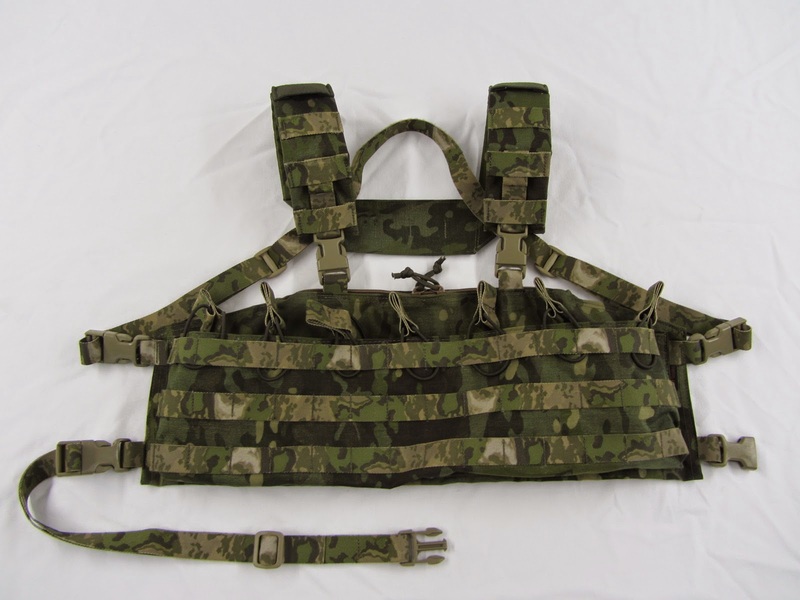 There are also attachment points for assault packs and hydro pouches, a drag handle (tested to 260lbs), and you can choose two buckle heights in the front.These rigs fit men and women 60”-85” tall and 30”-60” wide in the chest. The 5-mag Chestright weighs under 17oz. The Multicam Tropic pattern is currently produced for Applied Orange who wanted to match their military clothing. ATACS-FG webbing is used as it’s the closest matching pattern until Texcel offers the correct pattern sometime later this year. If the sales go well we’ll outsource these rigs for regular production. Currently they can be ordered through Applied Orange or our directly at TigerTailor.com.